Peace is making new friends.Peace is helping your neighbor. Peace is being who you are. 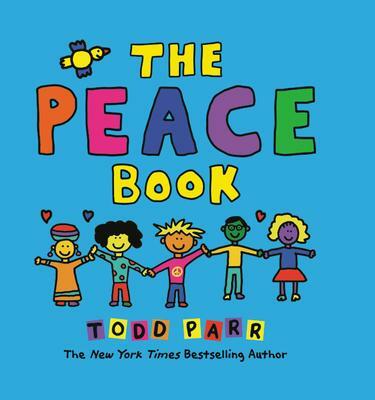 The Peace Book delivers positive and hopeful messages of peace in an accessible, child-friendly format featuring Todd Parr's trademark bold, bright colors and silly scenes. Perfect for the youngest readers, this book delivers a timely and timeless message about the importance of friendship, caring, and acceptance.